Kylil Carter is the primary backup for the Aggies. North Carolina A&T State’s backup quarterback Kylil Carter has been injured in a car accident, this information has been confirmed by the university. The extent of his injuries and the details of the accident are unknown at this time. As of Tuesday afternoon, the Twitter account associated with Carter has retweeted two messages of well wishes from friends. Prayers up for @KylilCarter_ ! Blessings to you , hopeful for a speedy recovery! Carter is the backup to Lamar Raynard on the Celebration Bowl bound Aggie football team. 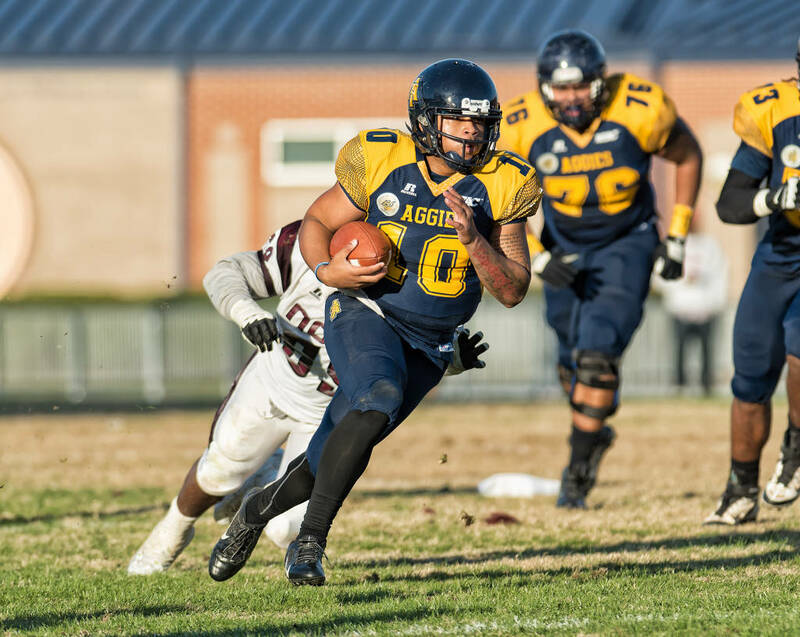 The redshirt junior quarterback is from Austell, Georgia and has been a contributor for NCAT this season. He’s played in ten games in 2018 with 37 completions in 70 attempts and tossing four touchdowns. His greatest moment as an Aggie thus far might have been his performance this year versus East Carolina. Carter came off the bench when Raynard was injured and led the Aggies to a come-from-behind win. He engineered two fourth-quarter touchdown drives to upset ECU 28-23 at Dowdy-Ficklen Stadium.